The Tolada Mountains rise from the plains of north-eastern Brazil. It's a harsh and inhospitable land, but people have lived there for thousands of years, and they left buried clues to a vanished world - a record of occupation stretching so far back into prehistory that it challenges accepted ideas about when people first reached the New World. Most archaeologists agree that there were no people in the Americas before 12,000 years ago. But evidence unearthed at Tolada in the late 1980s raised the possibility of proving that humans were living in this area tens of thousands of years before that. 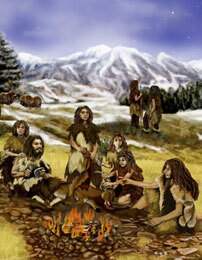 It was a view that would radically change the acknowledged picture of the movements of prehistoric humans. The work of prehistoric artists, found at cave sites in the area, were able to describe a lot about the kind of world in which these humans lived. There are familiar animals there such as deer, and exotic ones like the capybara, which today live only in wet, tropical forest. So far, everything there suggested that the unique and extensive art decorating the rock shelters had been developed over a very long period of time. At the site, archaeologists started a dig at the base of the painted walls and found a later camp fire, which had been used by the artists. It was dated at 9500 BC and was a good example of its kind, containing the remnants of ash and charcoal. Animal bones were also found, along with stone tools, especially flint tools. That was significant because the nearest known source of flint is sixteen kilometres away, so it could only have been carried to the camp fire by the people themselves. A deeper dig into older layers of sediment revealed paintings that had been buried. These were made around 10,500 BC, which means that at the time they were they oldest known paintings in the Americas. In the nearby Pilau caves, settlements of around the same age were unearthed. Camp fires and stone tools were also found, along with the bones of extinct animals from the giant sloth and mammoth to the sabre tooth cat, complete with its outsized canines. At the foot of another cave, digging took place through what was once an ice age lake. It was around this area that evidence discovered began to point towards a much earlier settlement of the Americas than had previously been accepted. Successive layers of detriment were found, dating from as recently as 8000 BC to as far back as 32,000 and 43,000 BC. Assorted weapons, blades, choppers and some tools were discovered, pointing to a date of 48,000 BC for the first occupation of the area. 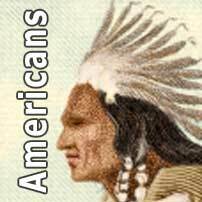 The established view until this time, taken from all previous American findings, was that the earliest migration of people into the New World took place around 10,000 BC. 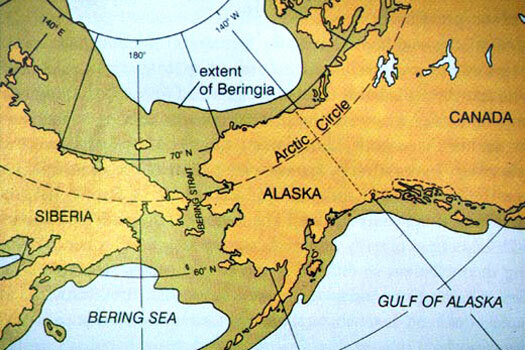 The newcomers would have crossed an ice age land bridge connecting Asia with America (known as Beringia - now the Baring Straits). 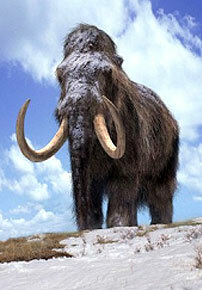 This would have followed the great migrating herds of mammoth, musk ox, and caribou. But it was only when an ice-free corridor through glacier-covered Canada became passable towards the end of the last ice age that these people have followed the herds south, towards the Great Plains. Dozens of sites in the lower North American continent, such as the Clovis site in New Mexico, document the sudden appearance, around 9,500 BC, of a big game hunting culture in the continent. Most of the people wore animal skins and used stone artefacts. Skilfully crafted tools have often been found alongside, or even buried in, the bones of large, extinct animals. Before the Clovis era, there are absolutely no signs of any human habitation whatever. On the seaward side of southern Chile, at Multi Verde, further settlements had been found and these had been dated as far back as 30,000 BC. They were created by a vegetarian-type people who were unrelated to the Clovis culture and its big game hunting. This seems to strengthen the claim for a much older earliest inhabitation. Coming to America need not have been a chance that was seized upon only once. Many hundreds of people in small groups may have come across the Baring Straits over a space of thousands of years. It is not known precisely when the land bridge existed, and therefore how long the ice-free corridor was available. But those things become irrelevant if the people were using boats. Such people could have spread gradually along the coastline because they were already making a living from the sea. Fishing, hunting sea mammals, collecting shellfish, and snaring migrating birds would have been their existence. The trouble with this theory is that any evidence of proof or disproof now lies under the Pacific Ocean. Since the ice age glaciers began melting, the sea levels have been rising. submerging a coastline that was then up to a hundred kilometres further offshore. It is possible that clues to this existence may be found from sister sites to these people's beach habitations. They may have ventured further up the wide rivers, heading inland to settle in more reachable sites. But much more work is needed before a positive result can be achieved.